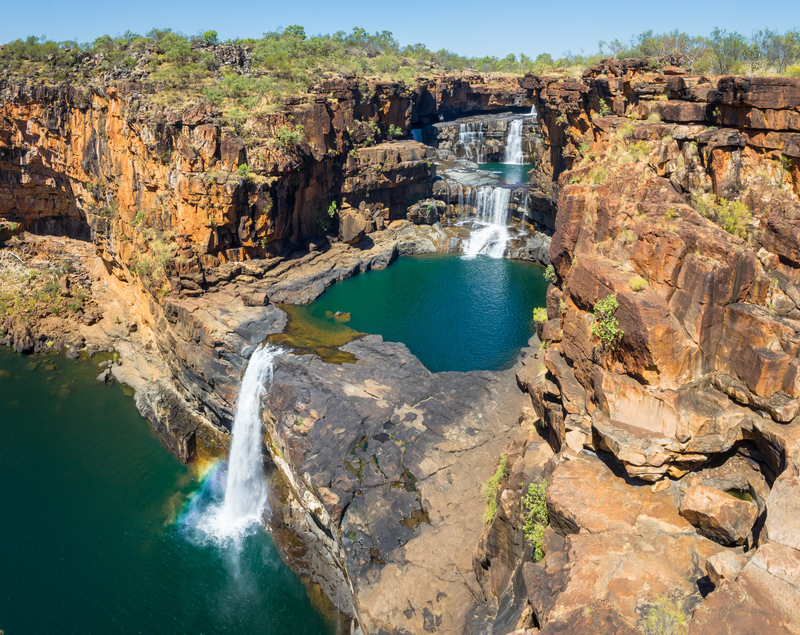 This is a very remote location in the Kimberley, Western Australia. It is a triple fall with other falls and lakes nearby accessible by walking. You can helicopter in or drive for several days over very rough roads. There is a camping ground within walking distance of the falls. There is a helicopter service from near the camp ground to the falls.